WooCommerce Product Table Plugin has the most flexible and friendly Table Online Builder. It’s easy to create responsive, sortable and searchable Product table by 1 click with no coding. Select the necessary items and add them to Manage Table Content. There is an option to remove selected products or some of them. You can use Search for products to add the items. 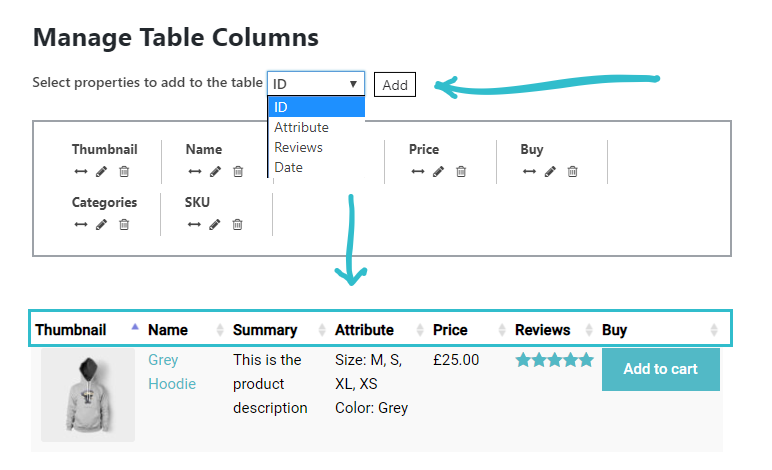 Available columns for Product table: Attributes, Categories, SKU, Buy, Summary, Date, Price, Reviews, Thumbnail. You can display each type as a separate column in the product table and add as many columns as you need in any order. Plugin provides all tools for customizing the table design and make it more attractive for customers. They are: Caption, Description, Signature, Header, Footer, Table Width and Thumbnail size settings, Borders, Highlighting modes, Row striping and more. Copy table shortcode or PHP code and paste into your post or page. Press "Publish" and a beautiful responsive Product table will appear on website ! With Product Table Online Builder you will create beautiful table with a custom design. 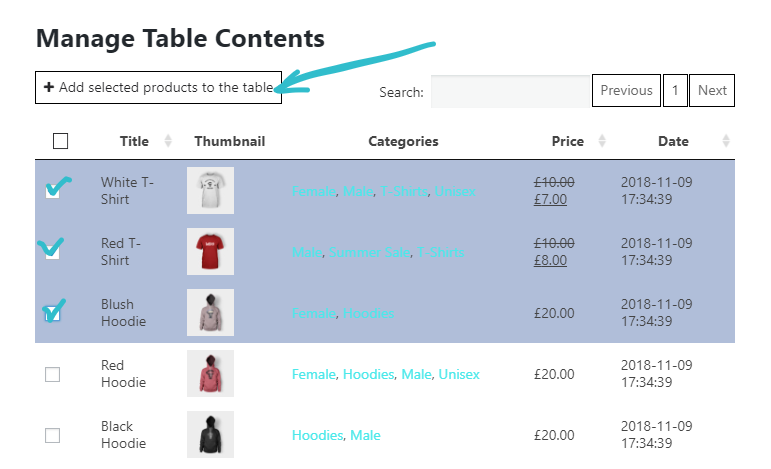 Look at the WooCommerce Product Table examples to explore all the available options. With Supsystic Plugins you will enhance your shop’s user experience and increase conversions!